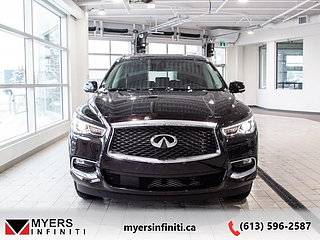 Sunroof, Leatherette Seats, Heated Seats, Heated Steering Wheel, Power Liftgate! 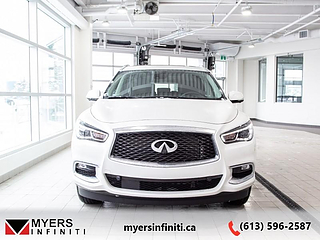 Crossover capability doesn't come at the cost of luxury or comfort in this stylish Infiniti QX60. 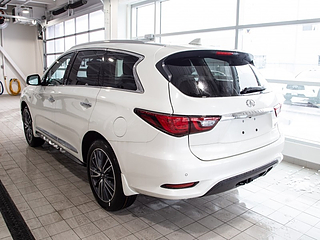 This majestic white SUV has an automatic transmission and is powered by a 295HP 3.5L V6 Cylinder Engine. 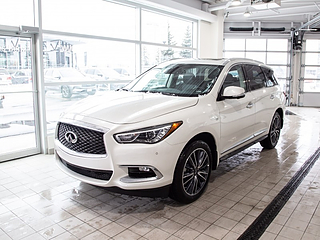 Our QX60's trim level is PURE AWD. 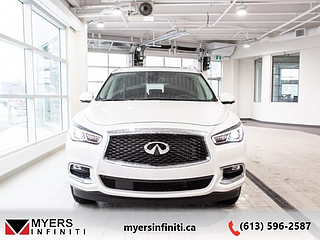 This QX60 comes with a lot of amazing features like a power moonroof, power liftgate, leatherette seats, heated power front seats, heated steering wheel with cruise and audio controls, blind spot monitoring, forward emergency braking with pedestrian detection, forward collision warning, power folding heated side mirrors with turn signals, 3 charging USB ports, LED lighting with automatic on/off headlamps and fog lamps, rearview camera, intelligent key with remote entry and push button start, tri-zone automatic climate control, Bluetooth, SiriusXM, SMS/Email display, and Infiniti InTouch display. This vehicle has been upgraded with the following features: Sunroof, Leatherette Seats, Heated Seats, Heated Steering Wheel, Power Liftgate, Blind Spot Monitoring, Active Braking. Total rebate of $2000 is reflected in the price. Price includes $2000 Finance Cash. 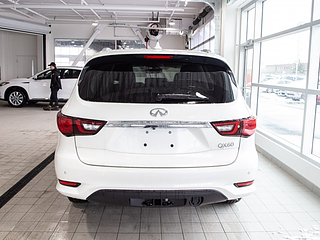 3.99% financing for 84 months. 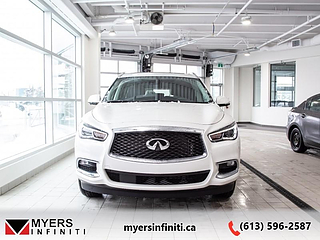 Buy this vehicle now for the lowest bi-weekly payment of $349.21 with $0 down for 84 months @ 3.99% APR O.A.C. ( Plus applicable taxes - and licensing fees ). Incentives expire 2019-04-30. See dealer for details.